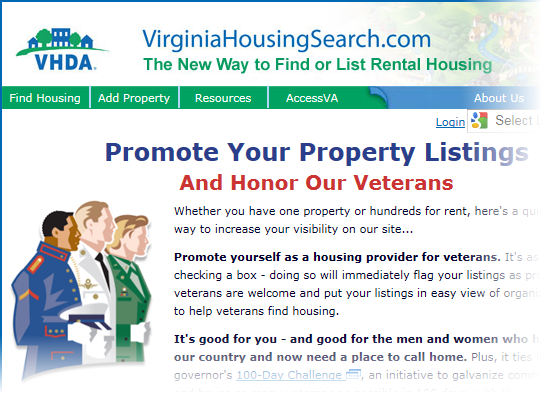 VirginiaHousingSearch.com is a free online housing locator service, sponsored by the Virginia Housing Development Authority (VHDA). Now in its sixth year of services, the website contains detailed information about more than 108,300 rental properties throughout Virginia, and helps people find the housing that best fits their needs. More than 2,500 landlords, property managers and owners use the site as well, to promote their properties at no cost to them. 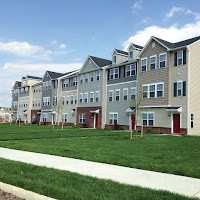 Virginia Housing Search recently partnered with the Prince William County Housing and Community Development Office to help tenants find housing, and help landlords fill vacancies within the county. The results were impressive. For information about Virginia Housing Search, contact Community Outreach Specialist Mario Wells at 804-343-5541 or mario.wells@vhda.com. “I love VHDA loan programs, because as a developer, they give me the ability to get a rental complex going, fully develop it and then hold on to it for the long term — 20 to 30 years,” said Brian Selfe, a partner in the project and president of Wellworth Properties, Inc., the developer and property manager of The Villages at Goose Pond. Located in Fauquier County, this 71-townhouse complex is a mixed-income community that fits well into its small town surroundings. The first tenant moved into the $15 million property last November. Current residents earn, on average, 80 percent of the area median income. 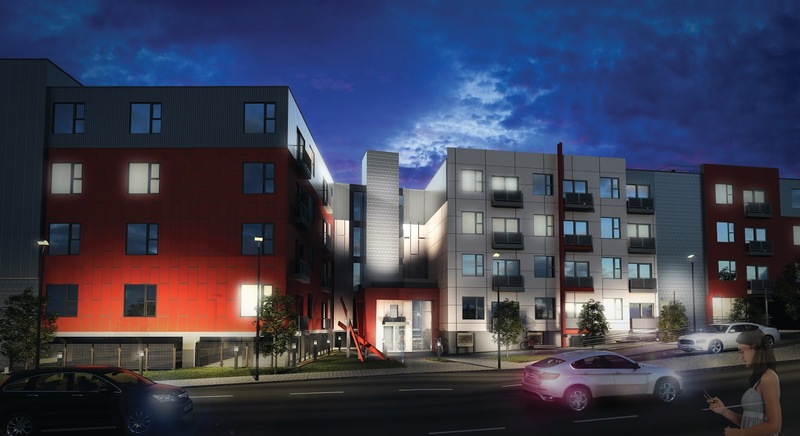 Three- and four-bedroom apartments are available, each with a two-car garage. According to Selfe, some Goose Pond tenants who have lower-paying jobs receive Housing Choice Vouchers for tenant-based rental assistance. VHDA has offered homebuyer education since 1996. 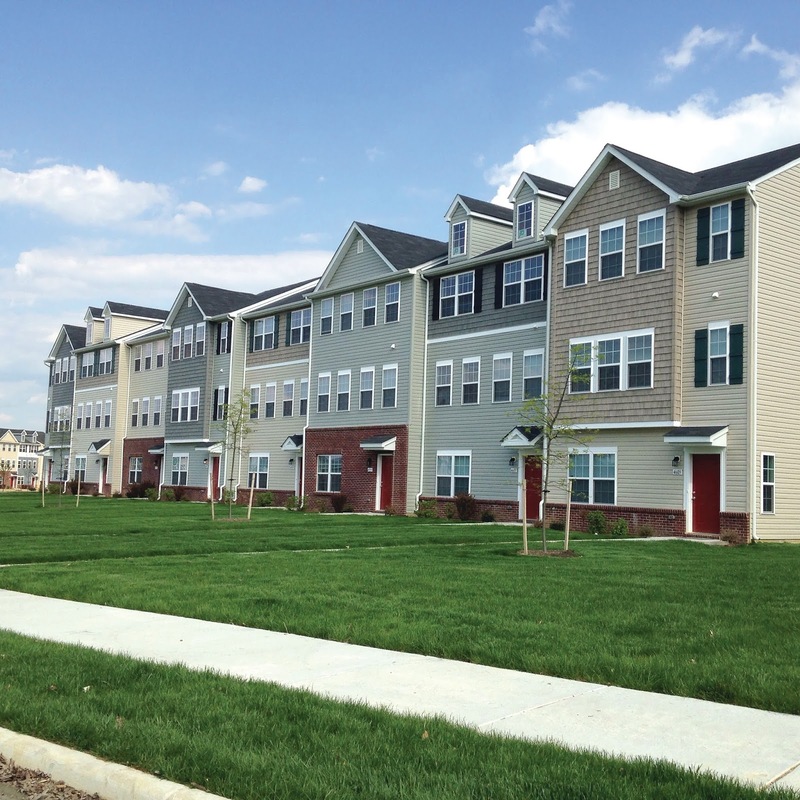 Recognizing that information and resources to help consumers make financially sound and informed decisions are essential to Virginia’s rental housing market, VHDA decided to expand our housing education beyond homeownership. To help focus attention on the importance of rental housing, our Housing Education department developed a user-friendly “How to be a Successful Renter” eBook. It concentrates on three core principles: pay rent on time, maintain the property and abide by all lease provisions. This free eBook is available on vhda.com/RenterEd. We began by identifying over 700 industry professionals to verify the need for, and possible use of, a rental education manual. Across Virginia, those providing rental counseling, group workshops, locator services, and financial and legal assistance were surveyed. In addition, VHDA associates facilitated regional roundtable discussions in Abingdon, Emporia, Exmore, Hampton, Harrisonburg, Lynchburg, Manassas and Richmond. These sessions provided an opportunity for stakeholders and partners to examine the feasibility of a rental education manual as a useful tool for consumers, landlords and educators. VHDA associates also met with staff from the Richmond HUD office, the Department of Professional and Occupational Regulation’s Fair Housing office, the Department of Housing and Community Development (DHCD) and the Legal Aid Society of Eastern Virginia. Development of the eBook took survey results and roundtable comments into consideration. The result is an in-depth renter tool that spells out Virginia’s laws and regulations in a consumer-friendly format. Both the renter’s rights and responsibilities are detailed, as well as common misunderstandings, challenges, barriers, landlord-tenant issues and fair housing concerns. The importance of being a knowledgeable renter is reinforced with information that includes tips, alerts, examples and additional resources. 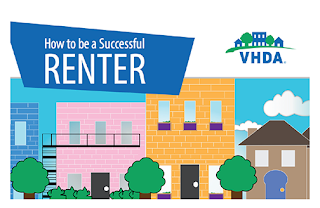 VHDA’s eBook is designed as a replicable model to support Virginia’s rental industry professionals, who are encouraged to share it with applicants, renters and colleagues. “How to be a Successful Renter” information is supported by a quiz, certificate and partner PowerPoints for each chapter. Those providing counseling, education and other renter services can implement all or part of the nine-chapter eBook to enhance their housing services and programs. The free eBook is available for download at vhda.com/RenterEd. For more information, send an email to RentalEducation@VHDA.com. “Most of the people renting our apartments are of the millennial generation [those born between 1980 and the mid-2000s]. It seems like every time we show a unit, they ask about light rail and public transportation. Downtown Norfolk is in a perfect position to benefit from what these folks are looking for,” said Buddy Gadams, a developer with Marathon Development Group. Once filled with the offices of lawyers and bankers, today this 100+ year-old building is home to 136 of the most modern apartments in Hampton Roads, with rents ranging from $905 to $1,700 a month. 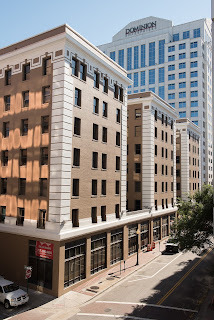 Apartment options in The Law Building include studio and one- and two-bedroom floor plans that are popular with Norfolk’s young professionals; plus the monthly rent includes one parking space per unit. 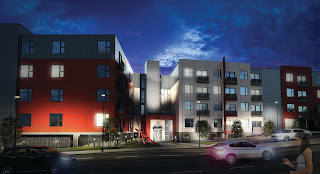 Also attractive is the location, a short walk from the light rail stop, Town Point Park, MacArthur Center and Nauticus. Commercial tenants include The Vineyards and Smoothie King, and the largest Starbucks on the East Coast will open there in February 2016. Vast natural resources and easy accessibility are just a few of the assets that Southern Virginia offers. Recognizing their collective strengths, in the past few years the region’s localities have developed greater regional partnerships to facilitate economic development. This approach to economic development focuses on local communities and entrepreneurship, in addition to efforts to recruit large employers. As a part of this strategy, and building on years of effort to combat blight and declining investment in small towns, two Mecklenburg County towns partnered with the Southside Planning District Commission and VHDA to look at downtown residential development as an opportunity for economic growth. 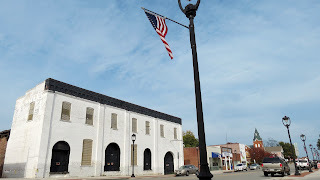 The Town of South Hill used VHDA’s Mixed-use/Mixed-income (MUMI) planning grant to explore the potential for the adaptive reuse of four vacant downtown properties and to identify other potential properties. The Town of Clarksville is using a MUMI planning grant to look at the opportunity for redevelopment of a significantly historic, but severely dilapidated, former tobacco warehouse. 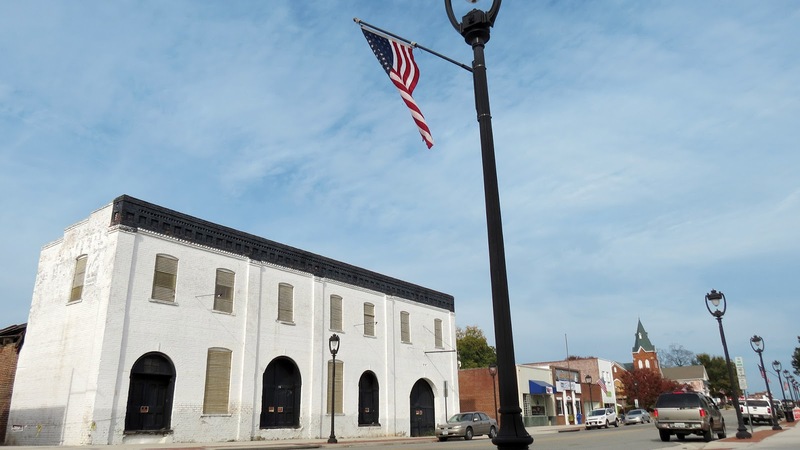 In addition to physical assessments of the buildings, the town is studying the market for affordable rental housing, and assembling potential designs for adapting the properties to include downtown rental housing. Both studies will provide the municipalities with strategies to achieve their development priorities and help them identify potential developers with the interest and experience to take on these types of projects. For more information on VHDA’s MUMI program, contact Director of Community Housing Beth Seward at 804-343-5615 or Elizabeth.Seward@vhda.com. The Virginia Housing Coalition (VHC) and Virginia Coalition to End Homelessness (VCEH) recently merged to create the Virginia Housing Alliance (VHA). The merger was approved by members of VHC and VCEH on October 15, 2015. VHA officially began operations on January 1, 2016. VHA will focus on expanding affordable housing opportunities and ending homelessness through advocacy, education and collaboration. Based in Richmond, VHA will have a truly statewide focus given the broad spectrum of services and local partners in Virginia that it will support. VHA also announced that the organization’s first Executive Director will be Sim Wimbush. She previously served as the Associate Director of Housing Development for Virginia Veteran and Family Support at the Virginia Department of Veterans Services. In that position, she was co-lead in providing statewide and regional coordination and technical assistance on veteran housing resources and housing policy in Virginia. Wimbush also has several years of professional experience in the nonprofit sector conducting community based advocacy and providing case management and crisis intervention services, as well as developing and maintaining interdisciplinary partnerships. The new organization will focus its efforts on three key areas: advocacy, education and training and resources. VHA will help organizations and communities expand housing opportunities and end homelessness. In addition, VHA will become a clearinghouse for news and resources about housing and homelessness. 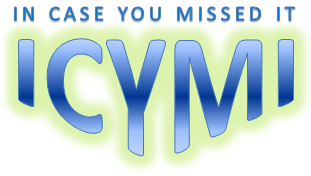 The nonprofit also will publish reports such as Home Matters and The State of Permanent Supportive Housing in Virginia. Legislative and public policy efforts remain a key focus for the newly merged organization too. VHA will develop an annual legislative and policy agenda that addresses state and federal issues, and provide direct education for legislators in Washington D.C. and Richmond. VHA staff will conduct education and provide supporting materials for members, housing providers, advocates and other stakeholders as well. VHDA has long counted both the Virginia Housing Coalition and the Virginia Coalition to End Homelessness as key partners in our Community Outreach mission, and we are excited to continue this partnership with the Virginia Housing Alliance now and in the future. Congratulations to all involved with this merger! Today’s post, by Mike Hawkins, Managing Director of VHDA's Community Outreach Division, originally appeared in VHDA's Fall 2015 Community Outreach Report. As we celebrate the 25th anniversary of the Americans with Disabilities Act (ADA) and the 30th anniversary of the Virginians with Disabilities Act, VHDA is engaged in an important partnership involving several state agencies and regional teams. The goal is to advance housing options and choice for the Commonwealth’s intellectually and/or developmentally disabled (ID/DD) citizens covered by the 2012 Settlement Agreement with the U.S. Department of Justice. 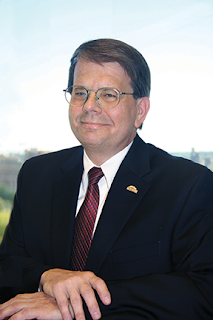 Whereas Virginia had previously focused on institutions as the primary approach to serve the ID/DD population, the ADA and subsequent Olmstead decision by the U.S. Supreme Court require a broader array of housing and service options which enable disabled citizens to be more fully integrated into our communities. Establishing a set-aside through our Housing Choice Voucher (HCV) program to serve the ID/DD population while helping create the framework with HUD to leverage the participation of other local HCV programs. Using resources through our Capacity Building program to strengthen the ability of organizations and regional partnerships to foster collaboration among local housing and services providers. Working to design programs funded by VHDA REACH resources that can help identify and enhance housing units to serve the ID/DD population. Our Community Outreach Report elaborates on these efforts, as well as on the work of VHDA-supported non-profit organizations that promote affordable housing options for people with disabilities. A coming of age crisis: Can the U.S. meet the housing challenges of an aging population? Freddie Mac is looking towards 2016 and trying to predict just what’s going to happen in housing over the next 12 months. Freddie Mac is already on the record stating that it doesn’t think mortgage interest rate will increase immensely in 2016, despite the Federal Open Market Committee recent announcement that it is raising the federal funds rate for the first time since June 2006. In the wake of that announcement, Freddie Mac’s chief economist, Sean Becketti, said that interest rates should remain at “historically low levels” throughout 2016, in spite of whatever moves the Federal Reserve is expected to make. "Jumpstart was very important to make it clear that the responsibility is going to lie with Congress" to enact housing finance reform, Sen. Bob Corker told American Banker on Wednesday. In the controversial budget deal lawmakers unveiled earlier this week there's one bright spot for advocates of housing finance reform. The spending package included a key provision from a bipartisan bill that would prohibit the Treasury Department from selling its stake in Fannie Mae or Freddie Mac until at least Jan 1., 2018. The Jumpstart GSE Reform Act, co-authored by Sen. Bob Corker, R-Tenn., ensures that Congress will lead any efforts to unwind the government-sponsored enterprises over the next two years. It also includes a "sense of Congress" that lawmakers should determine the future of Fannie and Freddie and that Treasury should not sell or otherwise get rid of its preferred shares in the housing giants until after that time. The Federal Housing Finance Agency (FHFA) is seeking comments on a proposed rule to implement the Duty to Serve provisions of the Federal Housing Enterprises Financial Safety and Soundness Act of 1992, as amended by the Housing and Economic Recovery Act of 2008. This statute requires Fannie Mae and Freddie Mac (the Enterprises) to serve three specified underserved markets: manufactured housing, affordable housing preservation and rural markets. The proposed rule would require the Enterprises to adopt plans to improve the distribution and availability of mortgage financing in a safe and sound manner for residential properties that serve very low-, low-, and moderate-income families in the three specified underserved markets. We all want the same basic things for our families: a safe, affordable place to call home, a quality education for our kids, and access to transportation, jobs, retail and services. But the reality is that not everyone has equal access to those things. Despite genuine progress and transformation in the 47 years since the Fair Housing Act was enacted, the zip code in which a child grows up remains a strong predictor of that child’s success. The Civil Rights Act of 1968 obligates the federal government and certain recipients of federal funds to affirmatively further fair housing (AFFH) as a means of ensuring equal access to opportunities for all people. The AFFH Rule was published to equip communities with the data and tools they need to meet the obligation and address significant disparities in housing needs and in access to opportunity.